Sony is gearing up to launch a pair of new smartphones with ultra-thin bezels and a rear-mounted dual-camera system, new leaks seemingly confirm. The new smartphones, which are tipped to follow up on the Xperia XA2 mid-range range launched at CES this year, will take the fight to Samsung's mid-range offering. Would you buy this slide-out Sony Xperia over the Samsung Galaxy X? 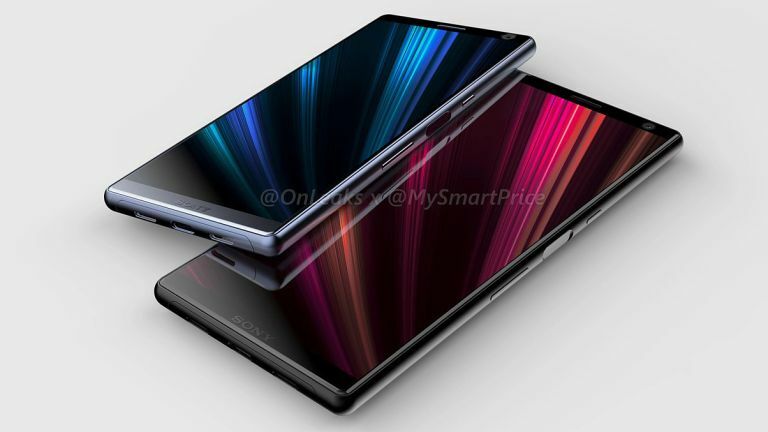 The glossy new renders of the as-yet unannounced Sony Xperia XA3 and XA3 Ultra come courtesy of MySmartPrice, and are based on CAD models for the phones. According to the new renders, one of the biggest changes to make its way to the mid-range Sony Xperia line-up is the new 18:9 display. This new aspect ratio allows Sony to stretch the 1080p HD display to the very edges of the phone – minimising those pesky bezels around the screen. This design is something we've already seen from Sony in the Xperia XZ2 and XZ3. However, it's nice to see the flagship look making its way down to the mid-range handsets, something that Samsung does with its rival A branded smartphones. Flip over the Xperia XA3 and XA3 Ultra and it appears Sony plans to kit-out its newest mid-range handsets with a dual-camera system. While the exact specifications of the sensors are still unknown, expect the main camera to be fairly well-endowed – as the single rear shooter on the XA2 and XA2 Ultra clocked in at 23MP. Like the top-of-the-line Xperia XZ2 Premium, expect the dual-cameras to be used to add an artificial bokeh effect to the background of your portrait shots. Elsewhere, it looks like the Xperia XA3 and XA3 Ultra will ship with a 3.5mm headphone port, and a side-mounted fingerprint sensor. Powering the mid-range handsets will be a SnapDragon 660 chipset, coupled with 6GB of RAM and 64GB of in-built internal storage. The Sony Xperia XA3 series is expected to be unveiled later this year, or during a press conference at CES 2019 in January. Either way, we should have more info in the coming months, so stay tuned.